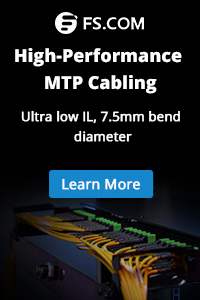 ← How to Choose an Appropriate Rack Mount Fiber Enclosure? The past few years have witnessed a massive change in the world of information technology by reason of network virtualization and cloud computing. Virtualization brings the efficiency of physical resource and energy use as well as the challenge for network administrators to support large-scale and dynamic workloads with multitenancy. 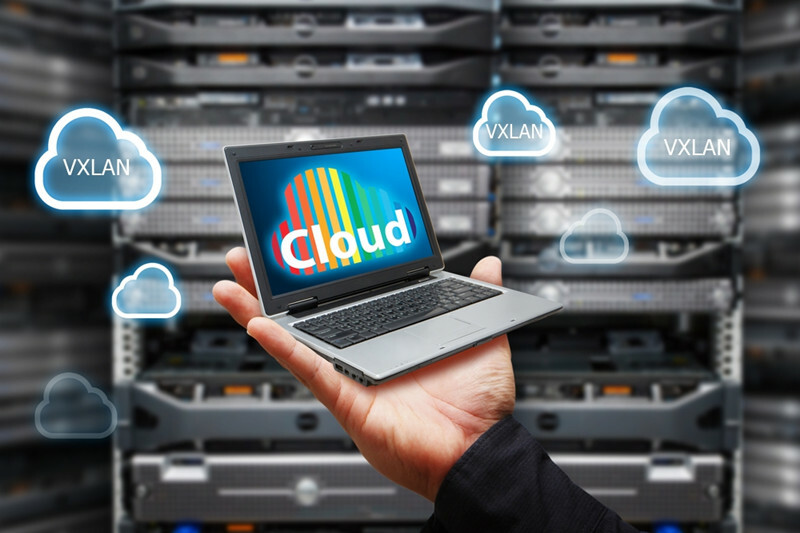 In order to seek a way for addressing the challenge of network scale and workload mobility, VXLAN is released as one of several network overlay technologies. In this article let us probe into the understanding of VXLAN technology and VXLAN switch. VXLAN, also called Virtual Extensible Local Area Network, is a network virtualization scheme that enables users to create a logical network for virtual machines (VMs) across different networks. It is designed to provide layer 2 overlay network on top of a layer 3 network by using MAC address-in-user datagram protocol (MAC-in-UDP) encapsulation. In this way, you could possibly create 16 million networks by using VXLAN instead of 4096 VLANs. To be brief, VXLAN can provide the same service as VLAN does with greater extensibility and flexibility. VXLAN adopts Layer 3 multicast to support the transmission of multicast and broadcast traffic in virtual network. In this environment, a VXLAN gateway device can be used to terminate the VXLAN tunnel and forward traffic to and from a physical network. The following picture helps to deeply understand VXLAN technology. VXLAN gateway: A VXLAN gateway is mostly a bridging between VXLAN and non-VXLAN environments by serving as a virtual network endpoint. For instance, it links a traditional VLAN and VXLAN network. VXLAN segment: A VXLAN segment is a Layer 2 overlay network over which VMs can communicate. One thing to be aware of is that only VMs within the same VXLAN segment can communicate with each other. VNI: Virtual Network Identifier (VNI) is also called VXLAN segment ID. The system uses the VNI along with the VLAN ID to identify the appropriate tunnel. VTEP: The VXLAN Tunnel Endpoint (VTEP) terminates a VXLAN tunnel. And the same local IP address can be used for multiple tunnels. VXLAN header: VXLAN header carries a 24-bit VNI to uniquely identify Layer 2 segments within the overlay. In data center, VXLAN is widely applied in creating overlay networks that sit on top of the physical network, enabling the use of a virtual network of switches, routers, firewalls and so forth. 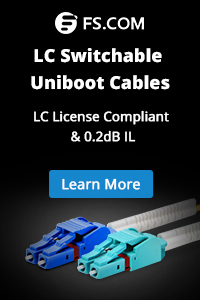 When it comes to VXLAN switch, it usually possesses the features of scalability and agility. What is more, VXLAN network switch can offer multiple solutions for private, public and hybrid cloud networks. Take FS S5850-48S2Q4C 10GbE switch as an example, it comes with 48 10G SFP+ ports and 6 hybrid 40G/100G uplink ports. It is a VXLAN fiber switch with advanced features, including MLAG, VXLAN, IPv4/IPv6, SFLOW, SNMP and etc., which is an ideal choice for traditional or fully virtualized data center. With the rapid development of VLAN technology and layer 2/3 networks, more higher network management technologies will arise definitely. VXLAN technology is one of them to solve the problem of limited scalability at present and bring more convenience for today and future networks. VXLAN support Gigabit Ethernet switch has been accepted as a better solution with sufficient links and capacity to handle massive traffic in cloud environment. If you are looking for professional and cost-efficient network switch solutions or VXLAN switches for networks and data centers, FS is a good choice. This entry was posted in Fiber Optic Network and tagged vxlan switch, VXLAN technology, what is VXLAN. Bookmark the permalink.